After the facelift, our house is shiny and white, with all of its plaster intact. 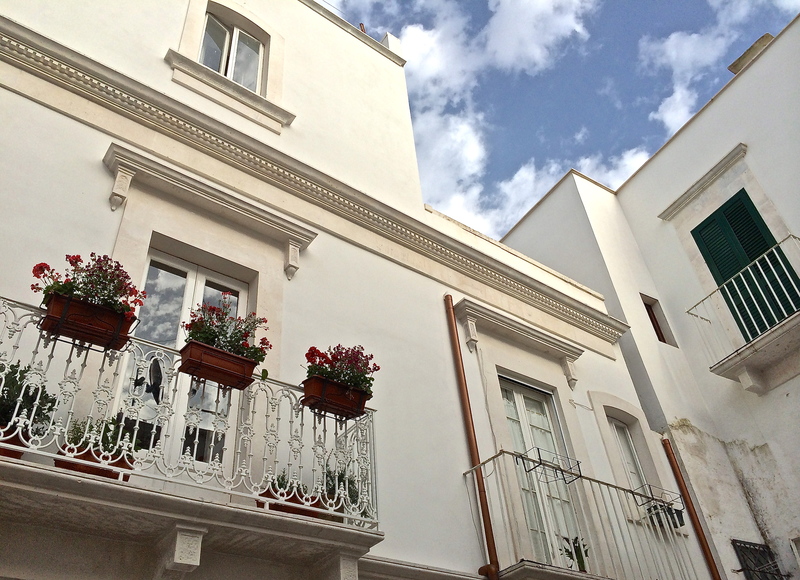 While we were walking in Spain last month, our house in Martina Franca experienced a much-anticipated facelift. Ever since we acquired this centuries-old place years ago, we had intended to address its aging stucco façade before chunks of ancient plaster wreaked havoc on passers-by below. But there always seemed to be something else more urgent to fix, so we postponed the inevitable until we couldn’t ignore it any longer. 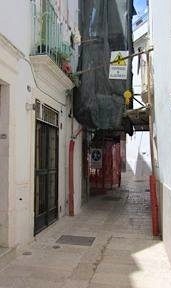 Scaffolding obstructed the already narrow street in front of our house for the duration of the stucco project. Home improvement is never pleasant, but now I am a firm believer in absenting yourself completely during the process. While there is some inherent risk in trusting the fates to make sure it all works out the way you imagined, avoiding the dust and noise made it all worthwhile. Hedging our bets, we deputized friends to drop by, unannounced, to assess the progress, surreptitiously shooting the occasional photo to send us in an effort to calm my nerves. It turns out we needn’t have worried. Angelo, our intonachista (plasterer), was an absolute champion. He came highly recommended by the neighbors who had not-so-subtly referred him to us over the years. His work was superb and he finished the job both on budget and weeks earlier than promised, firmly dismissing stereotypes of Italian remodeling horror stories. He even sent his own photos to us on the Camino, pressing his son into service to navigate the electronic mail infrastructure on his behalf. 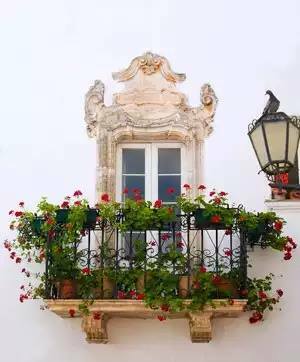 Martina’s Baroque balconies and windows are now adorned with floral displays in a show of civic pride motivated by the Barocco in Fiore competition. After we returned to a shiny new, blindingly white house, we were visited by representatives of Martina Franca’s Comitato Centro Storico, a citizens’ group dedicated to preserving and improving Martina’s historic town center. 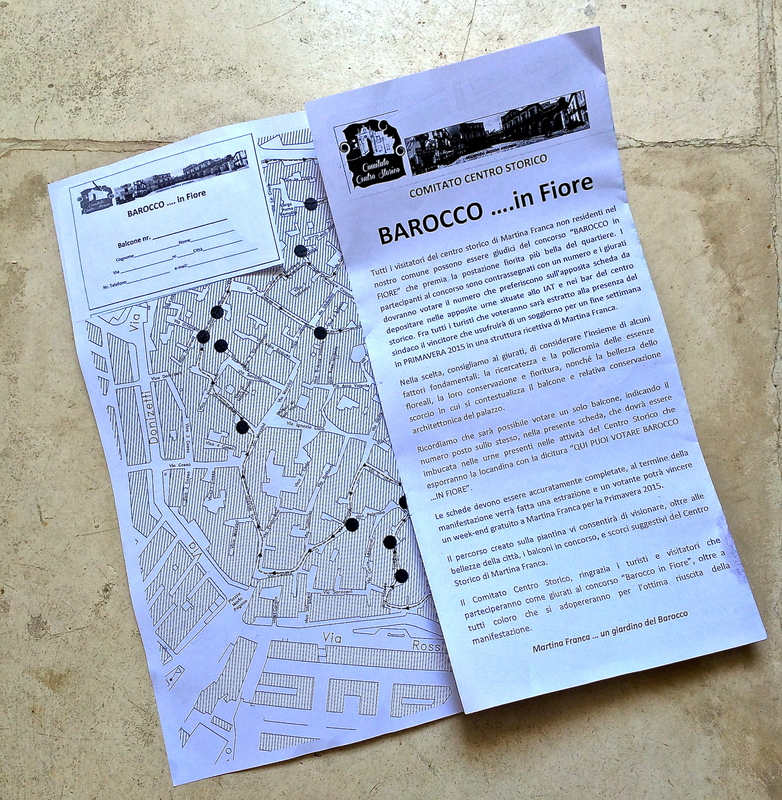 It seems they wanted to include our house in a competition called “Barocco in Fiore,” an effort to adorn as many centro storico balconies with flowers and hanging vines as possible, focusing attention on Martina Franca’s baroque architecture among the annual wave of summer tourists. But that appeal was just the thin end of the wedge. Next we were invited to join the committee to further its good works, including translation services and an appeal to share the punto di vista degli stranieri (foreigners’ view) on such pressing issues as parking in the historic center, litter abatement and more. The Comitato Centro Storico Martina Franca is especially well organized; they’ve even developed a logo. The map and the ballot: fruits of many hours of important comitato discussion. competition, along with how the map should be folded to best effect. All of the comitato members thought it best to share their thoughts simultaneously, with voices that got louder and more definitive as opposing views were aired. Every so often, someone would need to leave the room for a cigarette, stopping to light up, breathe in and exhale for emphasis before actually leaving the room. While we adore the way all these newly-flowering balconies cascade prettily throughout the main thoroughfares and meandering alleyways of our town, we have decided that the committee is doing a wonderful job without us and we needn’t return to the weekly meetings unless a translation is urgently required or a foreign opinion sought. Perhaps civic volunteer work is the same the world over and we lack the stuff of committed foot soldiers. Still, we’ll lend our support from afar by patching our stucco, watering our new plants and vigilantly collecting any litter that strays into our path. And we’ll keep you posted on whether or not we prevail in the competition, but there are serious contenders in our own little quartiere alone. After pulling and alarming number of dead blossoms from our geraniums this morning, we’ll probably vote for them, too. Our Italian Thanksgiving table doesn’t look so different from the American version. These lemons came all the way from the Amalfi Coast, hauled back to Puglia after a brief trip there. Our rosé glass is more than half full on the terrace in Martina Franca. The old fishing harbor in Monopoli on the Adriatic coast in Puglia is just one of the charming towns worth visiting here. While we wait for Pascarosa Organic Extra Virgin Olive Oil to be blessed by the FDA at the Port of Portland, we are busy cooking up something new for the fall. Maybe we’ve been inspired by the Giro d’Italia, the epic bicycle stage race now underway just next door to us in Matera, then Mola di Bari tomorrow. 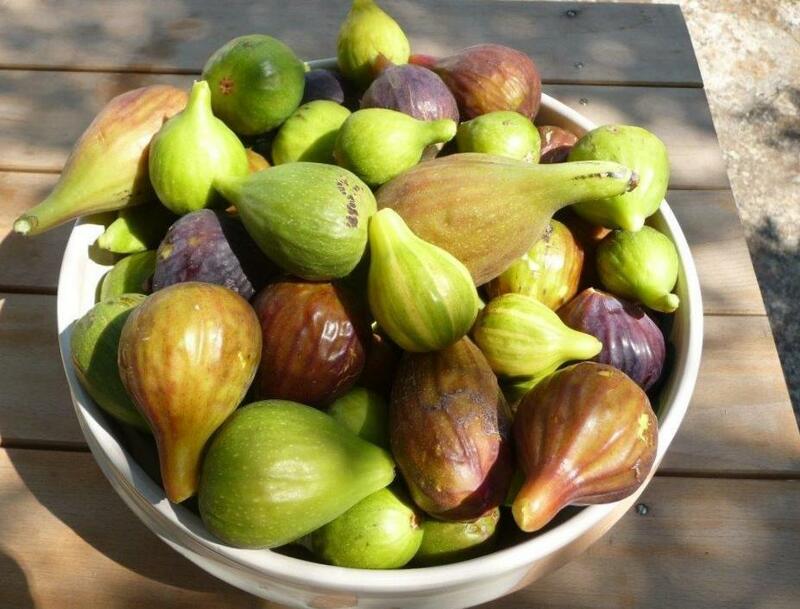 And so many friends and friends of friends have gotten in touch lately, wanting to know more about Puglia and its amazing coastline, cuisine and gioia di vivere (joy of living) that we have started putting together plans for some tours during the golden days of September, October and early November here. But we need your help to design the best experience possible, so here’s where you come in. Orecchiette con Cime di Rapa is one of the most satisfying Pugliese dishes you’ll learn how to master. Will you take a minute to check out this survey and tell us what you think? Here’s what we’re planning: three tours, focusing on three different aspects of life here, for one week each. The first is a culinary tour that offers an up-close, very much behind the scenes look at la cucina Pugliese (Puglian cooking). 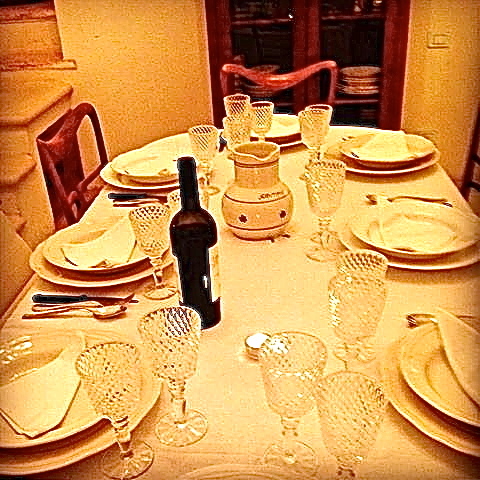 We’ll participate in hands-on cooking classes, olive oil tasting and evaluation, wine tasting featuring Puglia’s world-class varietals and obscure blends now experiencing international success and walking tours of the centri storici (historic centers) of some of the most charming towns and villages you’ve ever seen. This trip will take place in mid-September, 2013 and in the later spring of 2014. Experience the flavor of the first drops of fresh cold-pressed organic extra virgin olive oil from the Pascarosa olive harvest. The second, an olive harvest tour, provides an opportunity to participate in the olive harvest, bringing olives to the olive mill and tasting the first organic extra virgin olive oil as it drips off the press. 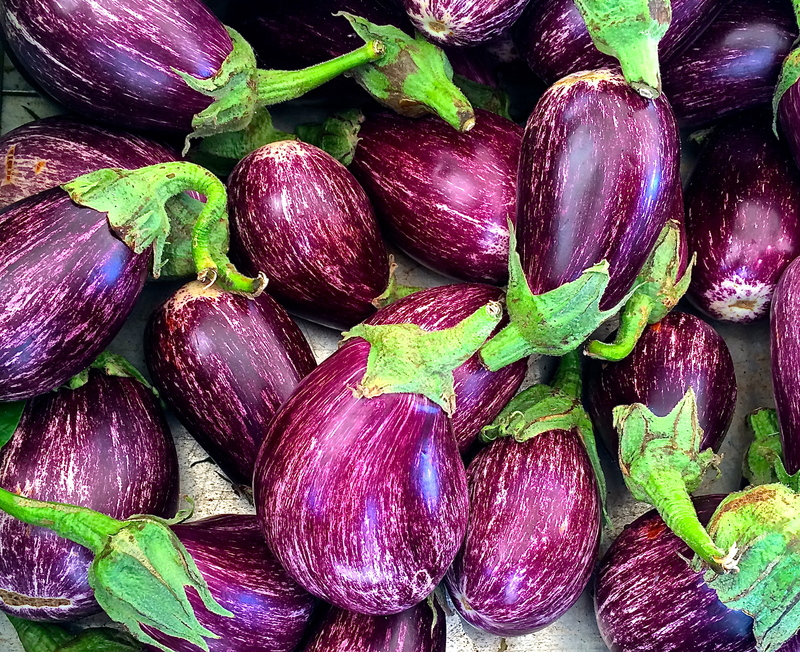 This trip includes hands-on cooking classes focused on the use of extra virgin olive oil in every course from antipasto to dessert, visits to historic and modern olive mills, a workshop on the sensory evaluation of olive oil and visits to Valle d’Itria towns steeped in olive oil tradition. 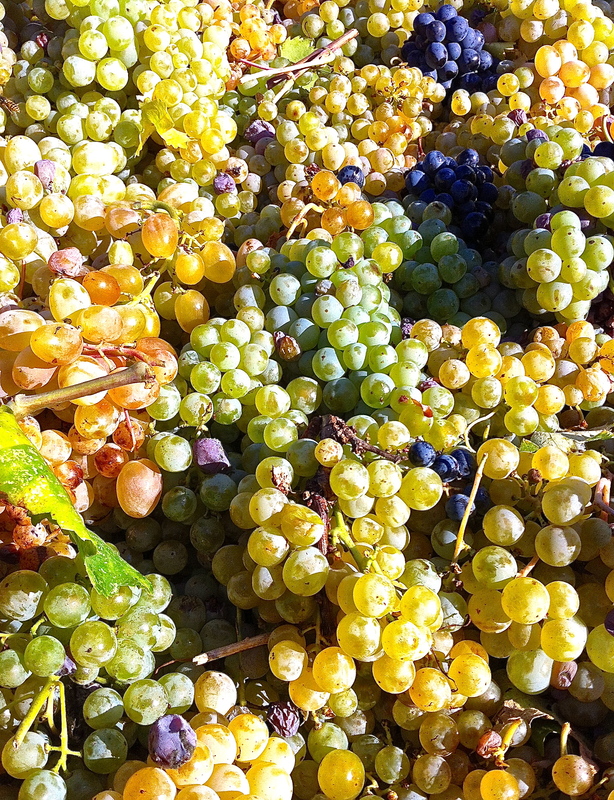 This trip will take place during the very beginning of the olive season, around the first week of November 2013. Ride with the areas premier amateur cyclists while discovering the Valle d’Itria. The third tour is a biking tour of the incredibly Valle d’Itria countryside. From the Adriatic to the Ionian coasts—and all the hills and valleys in between—guests will have the chance to join the local bicycle club on their weekly rides. There will be a variety of routes available to accommodate all rider levels as well as activities for non-rider partners like hands-on cooking classes, visits to artisan cheese and pasta workshops and more. This trip will take place in mid-September and in the later spring of 2014. More detail about the trips can be found on our Pascarosa website, which will be active any day now . . . really! But as we shape the tours and refine our pricing, your input is absolutely invaluable in creating experiences that reflect your interests. Learn how to make handmade orecchiette from the masters—Puglia’s grandmothers. If you can take a minute to complete this survey, we can zero in on the details that will make these Pugliese sojourns memorable. All of the tours we’re planning include experiences that are not generally available to the public. Over 17 years in Puglia have given us the chance to develop deep friendships with farmers, food artisans and vintners who will share their knowledge and their home with our guests. We speak Italian fluently, so we’ll smooth the way as our guests develop their own relationships with the people of the Valle d’Itria. We’ll also take care of all the arrangements—from five star accommodations to comfortable transportation between activities. 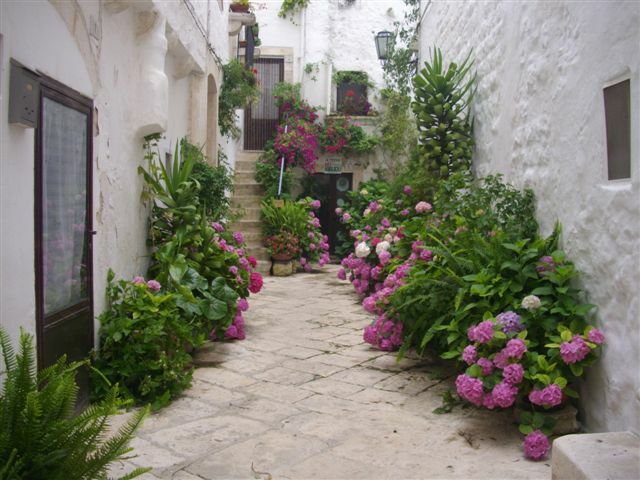 Polignano a Mare, one of Puglia’s seaside jewel-like towns to visit. So thanks for your willingness to share your thoughts with us. And as a way of thanking you, we’ll give you a 10% discount on the cost of any tour you might decide to join eventually if you complete our survey by June 1, 2013. We’d love to see you here and hope to capture your imagination as an inaugural participant.